Leading Manufacturer of material handling trolley and platform trolley from Bengaluru. 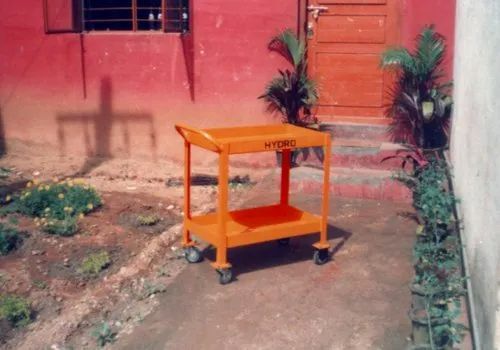 Platform trolleys come with customizable variants like; Top – Covered with Plain M.S, S.S, Chequered Plate, Roller Top, Ball Top and any other custom requirement. Handle – Fixed, Foldable, Towable, Steering type, Telescopic, Detachable, and any other custom requirement. Sides – Mesh Covering, Railings, Detachable Railings, and any other custom requirement. 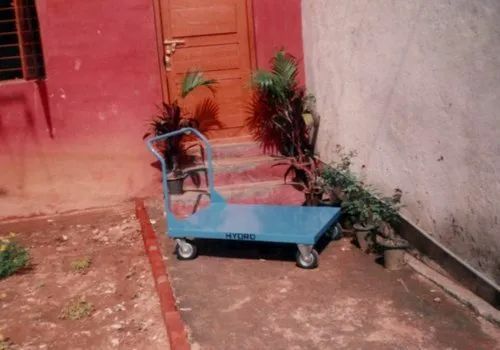 Wheels – Nylon, Rubber with Tubes, Cast Iron, Solid Rubber, High temperature, Polymer, and any other custom requirement To summarize, all our Platform Trolleys are custom built to meet the customers requirement. Looking for “Material Handling Trolley”?